It wasn’t that long ago that age signified wisdom. But in the last decade Silicon Valley routinely, even systematically, has overlooked the old in search of the youthful. …My colleagues and I did a study, funded by the Kauffman Foundation, that surveyed 500 successful high growth founders. Against all stereotypes, we found that the typical successful founder was 40 years old, with at least 6-10 years of industry experience. Twice as many successful entrepreneurs are more than 50 as under 25. The commercially viable daydreams were anything I could turn into a product: an idea for software, or an essay, or a book, or a design. The distracting fantasies were the ones which catered to my ego in some way. And they were distracting, they did not focus me on work, instead they took me away from work. As I’ve gotten older, the percentage of my daydreams that are commercially viable has gone up (with an exception for the era after my father died, when I was grieving and all of my daydreams were escapist in a distracting way). It’s possible that I am now less fundamentally creative than I was when I was younger, but in terms of ideas that are commercially viable I know that I am much sharper than I ever was before. Torrance is the researcher who over the last few decades has transformed the way people think about creativity. In one study he gave a tube to people of different ages and asked them what the tube could be. Children were factories of ideas: it’s a canon, it’s a bird house, it’s a telescope, it’s a breather. Adults came up with less ideas. So in that fundamental sense creativity declines with age. But in terms of commercially viable ideas, experience is a great help. Peter Drucker, perhaps the greatest business guru of the 20th Century, once remarked that innovators are often disappointed by the manner in which their innovations become popular. In his 1985 book, Innovation and Entrepreneurship, Drucker relates the story of Alfred Einhorn, who invented Novocain, which then became popular with dentists as a local anesthetic. Einhorn held a contempt for dentistry, since it represented such a small niche of medicine. He felt that Novocain should be used by surgeons for all forms of surgery, and so he waged a campaign against the use of Novocain by dentists. In the end, his innovation was successful despite him, rather than because of him. According to Drucker, this pattern, where a product or service is undercut by the entrepreneur who is trying to promote it, is extremely common. 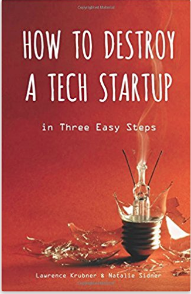 When I first read Drucker’s book I found it hard to believe that an entrepreneur would actively sabotage their own innovation. However, having now spent several years working with startups, I’ve seen that it is, indeed, a common pattern. Many entrepreneurs starts websites at least in part because they consider themselves uniquely creative and insightful, and they want the whole world to see them as they see themselves. The website they launch proves them wrong: their insights are proven false, what works in the end is something unexpected. For instance, in 1992, when Bo Peabody launched Tripod, he was thinking that the site would offer content aimed at college students. His idea failed. The company was saved because some of the programmers at the company had started a side project that allowed anyone to create their own web pages. This then became the future of the company. In his book, Lucy or Smart, Peabody says it is important to be smart enough to know when you are getting lucky. And then, you have to be willing to accept that luck. This takes humility. What’s needed in an entrepreneur is emotional resilience, the kind of strength that allows for openness to the unexpected. 1.) The success is with a small niche. The startup was suppose to grow till it was larger than Google, and success with a small niche is, therefore, extremely disappointing. The niche might be big enough to potentially generate several million in revenue, but it won’t ever be enough to catch up with Google. 2.) The success is of a conventional type and, therefore, the entrepreneur regards it as boring. Perhaps the site was suppose to pioneer an altogether new style of interaction among humans, and instead the part of the site that becomes popular is of an old type – for instance, the blog on the site becomes highly successful. The entrepreneur is then disappointed, maybe even angry, to be the owner of a boring success. Here then, are some fatal traps to avoid. Without open mindedness about the type of success you may encounter, your startup is doomed. And without humility about the limits of your knowledge, your startup is doomed. What I see then are several forces in the human mind that need to be balanced for success. The creativity is youth is great, but the ability to avoid self-sabotage is also great. Creativity declines with age, but the ability to avoid self-sabotage increases with age (not in every case, and the exceptions are often infamous, but as a general rule, I think this is right). And so there is no perfect age to start a business, but perhaps a slow advantage over time to those who can avoid self-destruction.